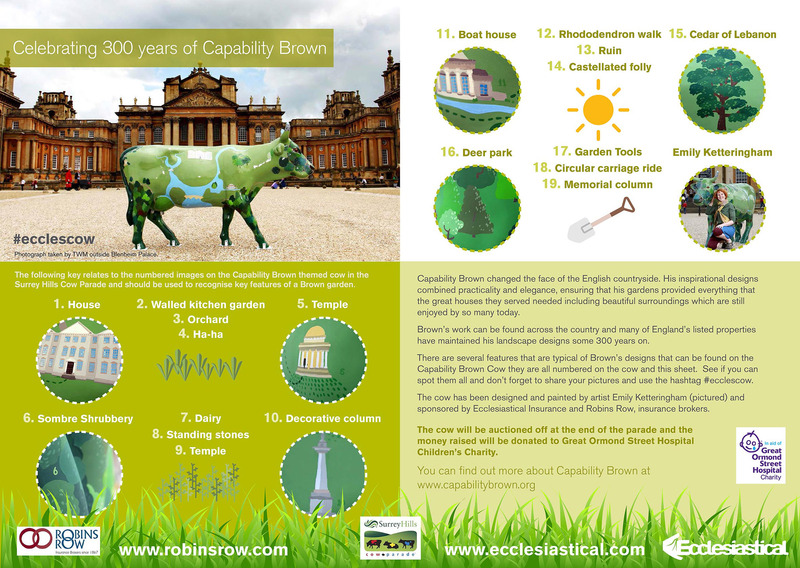 There are 19 Capability Brown inspired features on my Capability Brown cow (now officially named ClareMoo). She is summering at Claremont Landscape Garden if you want to see if you can spot them all. This entry was posted in Cow Parade, News, Painting, Photos, public art on Wednesday, 20 July 2016 by Emily.